Here is another episode of our famous RE-CASTING sessions. If you’re new to this podcast, here is where we pick an older film and re-cast the roles with new actors that we see fit. 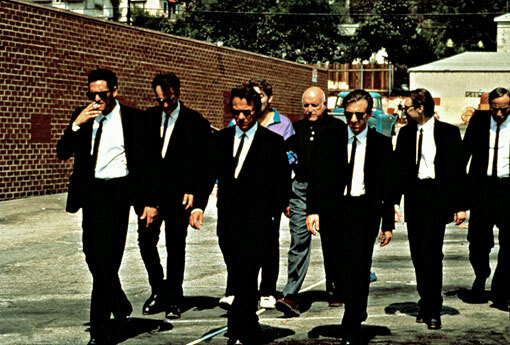 Since we’ve casted several comedies and one horror film so far, we though it would be fun to cast a drama-thriller, and what better film to re-cast than ‘Reservoir Dogs‘ by Quentin Tarantino. I know the cast already is perfect and we would never want this movie remade, but with Hollywood remaking everything today, here is our take on it. And to change it up on you, we completely re-cast all the roles with women. Enjoy this great episode. And Happy Thanksgiving!!! This entry was posted on Wednesday, November 27th, 2013 at 5:01 pm	and is filed under Film, News, Podcast. You can follow any responses to this entry through the RSS 2.0 feed. You can skip to the end and leave a response. Pinging is currently not allowed. « The Best Thing All Week #15 !! Ooh, I'm done! Brothers never make it out of situations like this! Not ever!